The latest developments in video surveillance utilize the power of IP-based network video and camera management solutions. IP-based means that surveillance cameras can now be securely monitored, recorded, and administered from any workstation or portable device within the local network or over the internet. 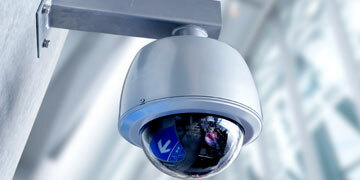 IP camera systems were designed to revolutionize the way business communicates over global IP networks. Utilizing a line of high quality, IP-ready videoconferencing and monitoring products, communication is delivered in high-resolution images and naturally clear audio — with a quality never before achieved. You can view, manage and record CCTV cameras at any number of facilities in various locations, using just a standard PC and Internet browser from one central location, or even remotely using a wireless PDA device....receive notifications by email or cell phone the instant events takes place. Remote monitoring of surveillance systems is easier, more affordable, and more convenient than ever before with network-based camera management solutions.